Blue berries are comparatively novice to the popular fruit list and was one of the first to be tagged a ‘super food’. There are several varieties of blueberry growing in different parts of the world. As the favourable climatic condition that favours the cultivation of blueberry is limited to some parts in northern India, the majority of the blueberries we find in the shops will be imported. However, you could easily find it in your market. Once your baby turns six months, and when you start giving him or her solid food, you may wonder if you could incorporate this super food as well in your little one’s diet. Read on. The baby diet occupies an integral place in the life of the parents and they look for something that has good nutrient value, taste as well as something that is easily available. This is the pre-requisite for any baby who is starting solids. Blueberry is one such fruit that satisfies all the above conditions. They are not only fibrous and yummy but are loaded with vitamin content as well. Are Blueberries Good For Babies? Generally, it is believed that blueberries should not be given to kids until they are a year old. The same holds true for the other members of this family which are strawberries, blackberry and raspberry. The reason behind is that it leads to eczema and can even hamper the digestion process due to the presence of allergens. Yet, blueberry relates to a different plant kingdom so it is not as unsafe as strawberries. The blueberry flavour is generally added to almost all baby foods which indicate its safety to be given to the babies. When To Introduce Blueberries To A Baby? There are contradictory views for feeding the blueberries to the babies. At one place we see that the blueberry flavour is added to all the baby foods who are targeted for babies falling under 6-8 months and above age bracket, whereas, at the other place we see that older people suggest not to offer berries to the infants or the babies till they are a year old to save from the choking hazard. What Is The Recommended Daily Consumption Of Blueberry For Babies? Babies between 6 months and 12 months can have 1/4 cup to 1/2 cup of fruit each day. However, never exceed this quantity. Even though very nutritious and has less chances of developing allergy, overconsumption of blueberry is not good for your baby. Because, it may take the place of other nutritious and must-have foods like fruits, vegetables, grains, dairy foods and protein-rich foods. Can You Give Baby Whole Blueberries? Blueberries should always be cut into halves or quarters. It is ideal to give some pieces at the start to see if the baby is able to take the whole thing or it is getting stuck in the mouth. It is best to offer blueberries to the child as a whole once they are three years old. Can Your Baby Be Allergic To Blueberries? Generally it is seen that that blueberries do not cause any allergies if introduced in between 8-9 months of age to the kids. Also, blueberries are not in same family as strawberries, raspberries and blackberries. But when it comes to introducing a new food, we can’t count it as 100% allergy free. Therefore, wait for three days after first introducing blueberries to your baby before adding any new food. This way you can make sure if your baby is exhibiting any signs (even mild) of allergy. When Should Blueberry Not Be Given To Your Baby? How To Select And Store Blueberry For Baby Food? The ideal way to select a blueberry is by looking at its maturity which can be gauged not by its size but by its colour. The best berries are those which are deep purple or blue, or blue back in colour. The ones which are red in colour are not ripe enough and can’t ripen once plucked or picked, can be used for cooking though. Never select the blueberries that are soft and tender and have shrunk in size. Supports bone growth: The presence of Vitamin K in the fruit helps in the foundation of strong and healthy bones. Regulate blood circulation:It has been seen by research that blueberry helps in prevention ofany sort of plaque in the arteries. It even reduces the cholesterol levels and also assists with the healthy development of blood vessels. Good for healthy heart: Blueberries help in boosting the functioning of the heart as it is enriched with polyphenols and fiber which offers adequate nutrients for the baby. Helps fight cancer: The antioxidants present in the blueberries help in the prevention of cancerous cells which in turn help in avoiding cancer. 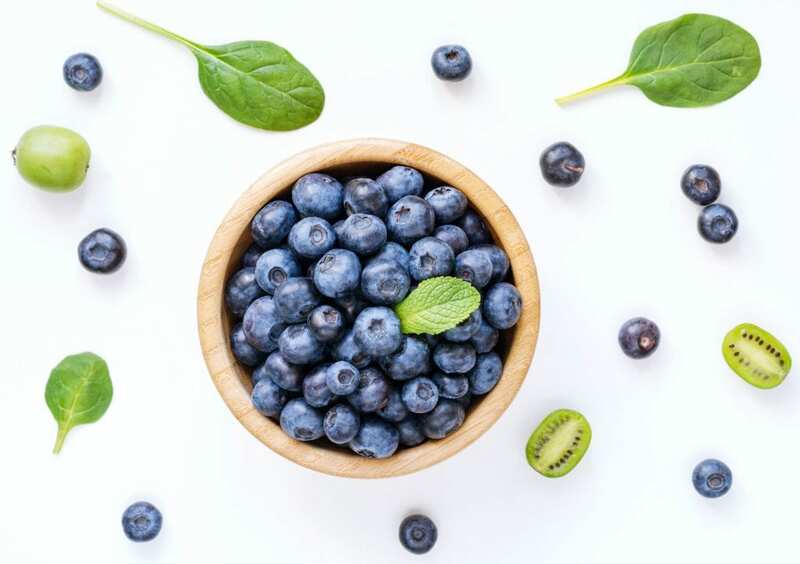 Enhances cognitive development: Blue berries are rich in micronutrients and antioxidants that are excellent for the development of nervous system. This way, blueberries enhances the cognitive development of the baby. Never offer a whole blueberry to the baby until they reach three years of age. It is advisable to always clean the blueberries as there are a lot of pesticides used on them. Keep a check for any symptoms initially and always start in smaller quantities and observe if it gets stuck as it can lead to choking later. Puree them in a blender or simply mash. In case too sweet, serve them plain or add it to yoghurt, oatmeal or fruits like banana, pear or peaches. In a cooker, add all the above ingredients and cook on low heat. Keep stirring in order to mix. Cook on high till 2 or 3 whistles and for 4-6 whistles when on low flame. Finally, blend the mixture by a food processor or a blender unless the required consistency is achieved. Thus, we can say that a variety and nutritious diet is significant for the health in general. This definitely does not mean that it becomes safe to feed a baby with all types of food, one has to be cautious before giving anything new and study its effects on the baby. Blueberries are no doubt packed with health advantages and feeding the babies with these can enhance the nutritional value but its best to offer them when it is safe or best to take expert advice from the medical practitioner.